The Lanta Valom is close to the beach, you basically just have to walk over a road. There are many very good bars and small restaurants around (try the Mojito at Majestic and the curry at MaMas Nok Style), with a high quality in general, check a certain search engine for 4+ ratings. You can rent a quality scooter for a fair price at Lanta Valom and go down south to visit all the smaller and beautiful beaches. Loh and his wife were super nice and helpful people, he even drove with us to the east side of Koh Lanta at 5 am to watch the sunrise. The rooms are simple, but they got everything in it and are clean. 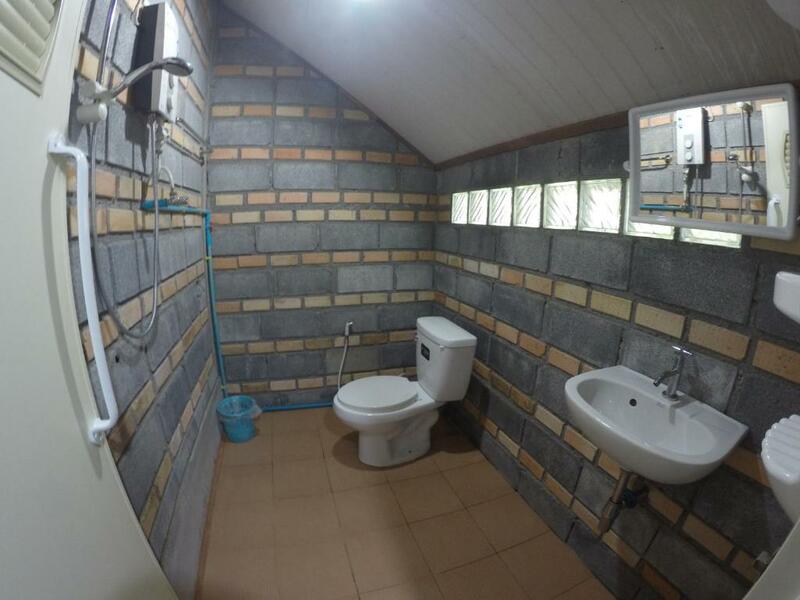 TL;DR: If you don't need a comfortable hotel room, Lanta Valom is definitely an excellent choice for a couple of nights with a high value for money. 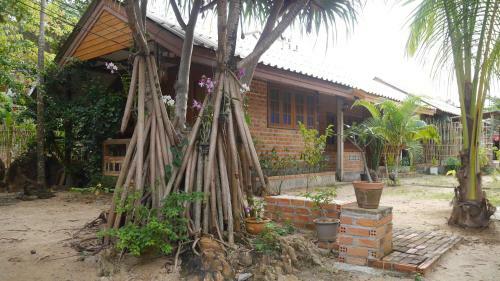 The area is a nice and a more quiet part of koh lanta, with still enough restaurants and bars in walking distance. The cottages are nice from inside and outside and a scooter can be hired from the owner. 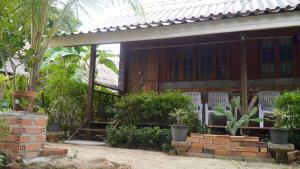 The bungalow was spacious with big and comfortable bed. The fridge in the room was highly appreciated. The beach was just across the road. The Hosts are extrem friendly and helpful, we had a wonderful time! Thx for everything ! Hope to see u guys again! These was the best idea to book there The rooms are super clean and quiet - easy access to all things close by. Beach - small shops and amazing restaurant right next by. The hosts are amazing / loveliest people on Ko Lanta We will definitely book there again . 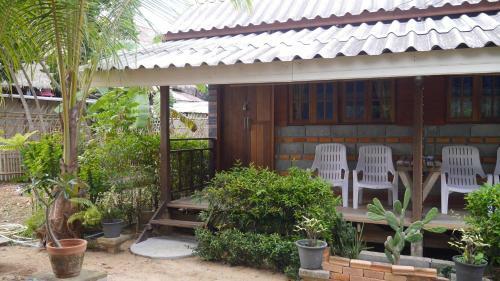 Great location, nice quite and big room with mosquito netand with a patio where you can relax. Super friendly staff. 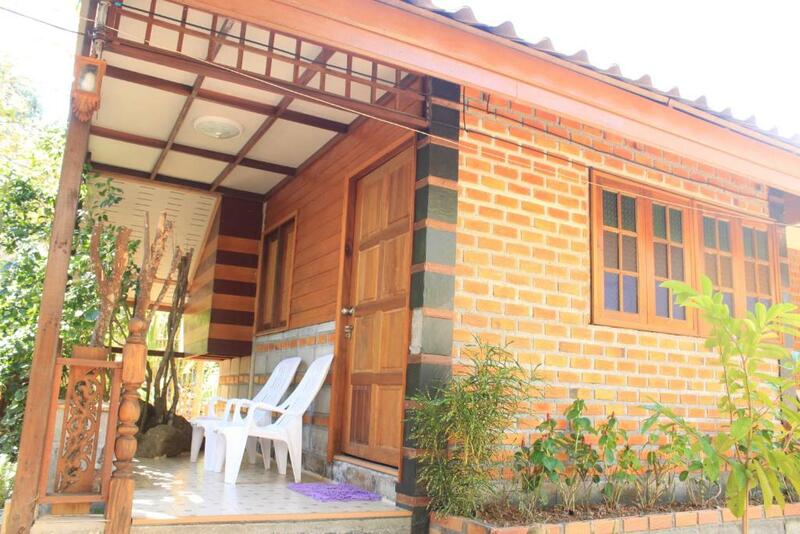 It has 2 options for rooms, we choose the wooden house because we wanted to have this rustic feeling during our stay. The value for money is great!!! The beach and restaurants minutes away from the rooms. We also rent a bike from there, which is really helpful. Great beaches to the south less than 30 minutes close, Old Town also really close, like 15 minutes. 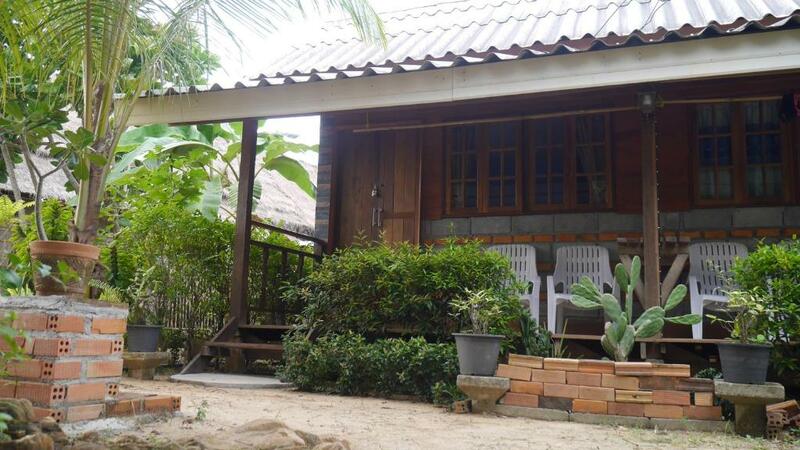 Perfect location and rooms, in the middle of everything in the paradise island of Koh Lanta. The location was great, all you can drink coffee, really nice owners (as well as an adorable little kid and some really sweet cats), they were able to accommodate our last minute request for air con in our room (we decided to upgrade to that because it was very hot). The hosts are amazing and helped us a lot through the all trip. They gave nice suggestions, were always there when we needed them and more friendly is impossible. Facilities are nice and clean, location is great! I'd definitely go back there! Lock in a great price for Lanta Valom Hideaway - rated 8.9 by recent guests. Offering cosy bungalows, Lanta Valom Hideaway is located a 2-minute walk from the 0.9 miles stretch of Klong Nin Beach on Ko Lanta. Free WiFi is available in all guestrooms. The bungalows all come with cable TV, a refrigerator and a private bathroom with a hot shower. They each feature air conditioning or a fan. Services available at Lanta Valom Hideaway include laundry, bike and car hires as well as a travel desk that can arrange sightseeing tours and ticket bookings. Activities that guests can enjoy on-site and in the surrounding areas include diving, snorkelling, kayaking, elephant trekking, fishing as well as Thai cooking classes. This property also has one of the best-rated locations in Ko Lanta! Guests are happier about it compared to other properties in the area. 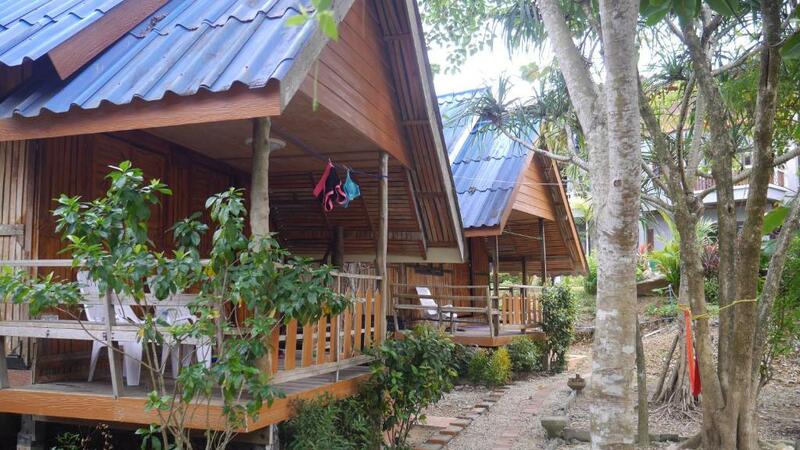 Lanta Valom Hideaway has been welcoming Booking.com guests since 24 Nov 2015. 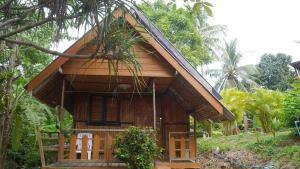 When would you like to stay at Lanta Valom Hideaway? House rules Lanta Valom Hideaway takes special requests - add in the next step! The house with fan is spacious and has a nice interior, and is good value for money, but we paid quite some extra money for an upgrade in order to get an air-conditioned room, which turned out to be a lot smaller and not that well maintained, compared to the fan-house. I would recommend the fan house, but not the air-conditioned room considering the high price, it was not good value for money. There were rodents inside our room every night, something that can't really be the fault of the owners of course. And, the water was not working a couple of times, although that was just due to maintenance I suppose. So overall, nothing really negative to say about the place, except the price for airco is not right. Monkeys can wake you up at sunrise playing on the roof, but hey it's the jungle! Secretly loved it! - It is not a bad who really wants to stay in nature but there were large holes under the doors and some cracks on the wall , that an animal can enter. - Stayed in a bungalow which was in nature and can hear monkeys and birds at night. - The bed was really comfy like 4-star! - Big room- - Lady and her baby were very nice. Our room didn't have AC, so it was a little warmer than other places we stayed, but it did have two fans for us! Everything! The family that runs it is amazing!! They were so kind, accommodating, and had clear pride of ownership. It was a great location nuzzled in paradise! A few bug encounters but that's to be expected in a bungalow on an island!